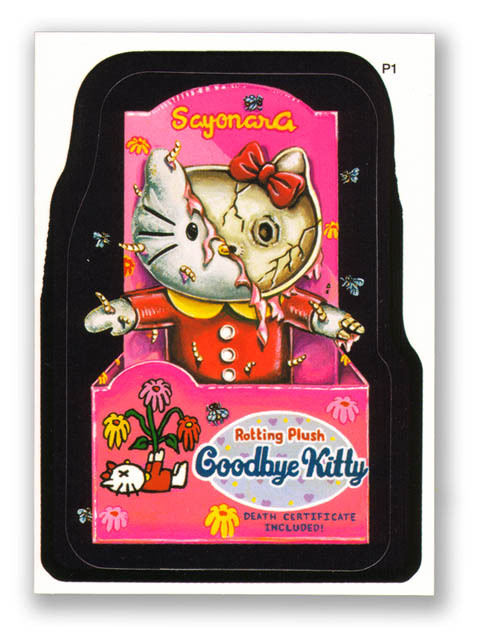 This is a relatively rare variant of Goodbye Kitty, which officially came out in Series 2. 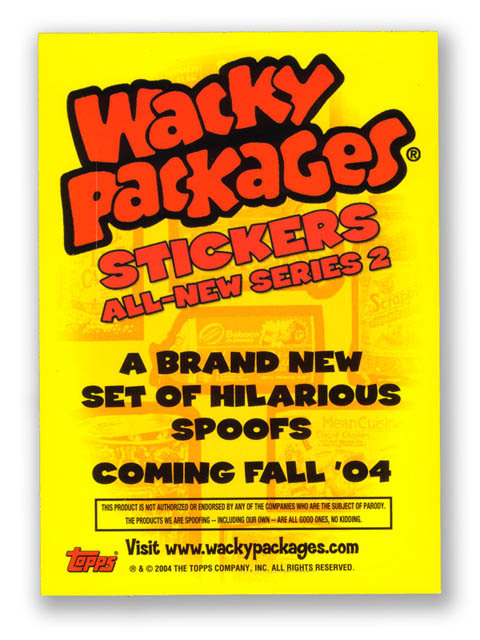 This card was given away at the Topps Booth at the San Diego Comic Con in June 2004, to promote wackys and as a preview of a 2nd series sticker. The back of the sticker indicated that Series 2 would be out in Fall of '04. That of course didn't happen, Series 2 actually came out at the very end of February 2005.